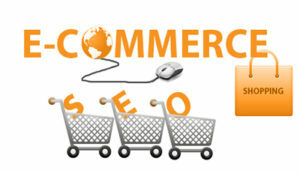 It is true that link building is difficult but if it is for an e-commerce store, it is even tougher. This is because in most cases you will be competing against the bigger name brands with bigger budgets and mammoth resources. That doesn’t mean that it is impossible to outrank such bigger sites or earn few best quality links through creative building of links but it is just that you need great efforts in terms of resources and time. Rarely, it is a quick win solution as long as e-commerce SEO is concerned but still it remains the area where majority focus their efforts. There are many areas of SEO which you will have to look forward to if you’re a newbie who is wondering about the different SEO strategies for e-commerce websites. Read on to know how you can formulate and improve the e-commerce SEO campaign without having to even build a single link. It has already been 6 years that Panda was ever rolled out, 5 years of the Penguin update and 4 years of the Hummingbird. Optimizing meta-descriptions and title tags in the wrong way will no longer help you and they will rarely take up to the top rankings of search engine result pages. As they will look spammy, users won’t feel interested in clicking on them, thereby dropping your position due to poor CTR. There are numerous e-commerce sites which suffer from over-optimization just because no one knows what to change. Make sure you optimize your title tags and meta descriptions for people and not for algorithms. There can be indeed nothing better than a bit of keyword research but still this is that area which the SEO professionals forget about after doing it just once. The more you get to learn about the searchers and the competitors, the better will be the experience that you can offer your users. You have to identify category-level keyword opportunities and think of how your customers are all going to search for the services and products that you sell. Audit your site for fresh keyword research and check out the same for your competitors. If you are someone who is still not using rich snippets in your e-commerce site, you’re actually missing out on a plethora of SEO opportunities. If you don’t use rich snippets, you’re being deprived revenue and rankings. Google doesn’t use rich snippets as a main factor for ranking but still this is accepted that an indirect signal for ranking is organic CTR. So, if you can enhance your CTR through a better result while consuming a better proportion of screen real estate, you will increase the chances of better search engine ranking. Can you boast of the fact that your e-commerce website doesn’t have anything called thin content? Can you be sure when you say that there are no price filters which lead to their own URLs utilizing their main category’s title, copy and H1 tag? This leads the designers to open up issues of keyword cannibalization without even realizing it. You can do a quick audit to know the number of pages which are designed against Google index. You can then de-index them using the robots.txt file. Therefore, if you’re wondering about how you could improve your e-commerce SEO, you can definitely take into account the above mentioned tips. If needed, you may even seek help of a professional search engine optimizer.